The new Jiggs Whigham pBone brings a fun and intriguing twist to the traditional trombone. 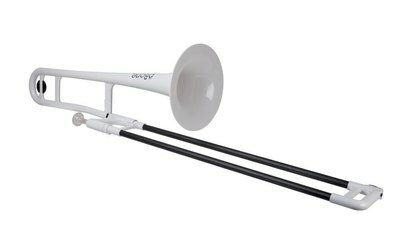 With its plastic construction, this lightweight instrument sounds remarkably like typical brass trombones. Available in 8 colours. Join the excitement of the #B#pBone#%B#!